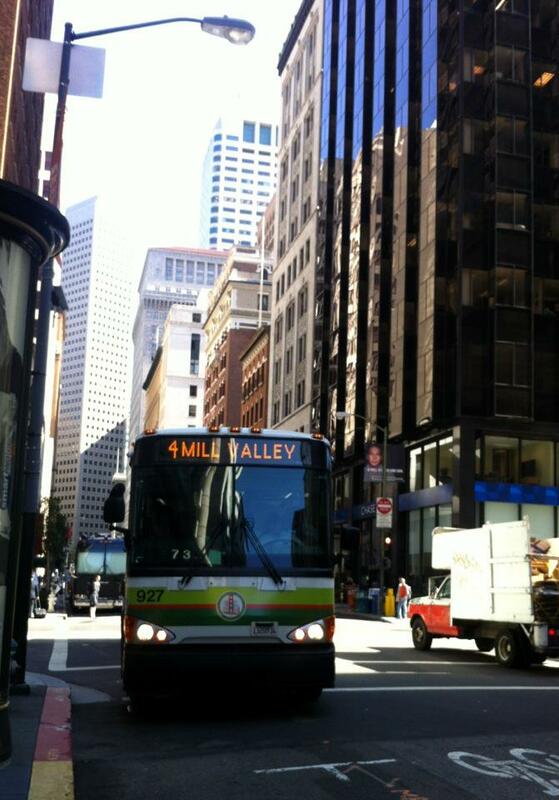 For over 2 years now I have been taking the Golden Gate Transit bus #4 to work every morning. It is early and usually dark when I get to the bus stop. Strangely enough I look forward to my early morning commute and that is because of Ricky, the bus driver! He was always there on time and always greeted me with enthusiasm and a warm smile. Awhile back GG Transit changed the schedule and Ricky was no longer the driver on my usual bus route. I missed Ricky. The morning commutes just weren’t as fun without him. A few weeks ago a nice woman named Ali came up to me at the bus stop and asked if I had been one of the regular riders on Ricky’s bus. She told me he was retiring and invited me to take his bus on his retirement day. That is when I figured out where Ricky had gone. He’d been driving the earlier bus! The one I never take. The one that left at 6:39am. I’m more of a 6:49 or 7:04am kind of a bus rider. Today, December 5, 2012 is Ricky’s last day driving the #4. I am going to miss Ricky’s beautiful smile and contagious positive attitude towards life. I am grateful I had the opportunity to be a rider on Ricky’s bus. 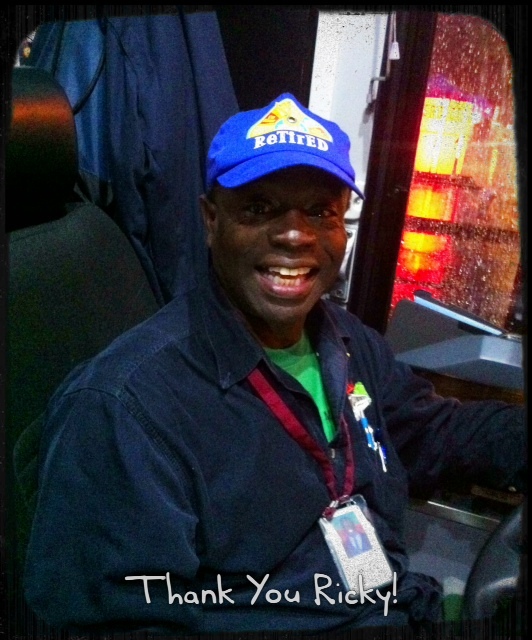 The bus was full of people on this stormy, dark morning who arrived with thank you gifts and well wishes for Ricky. PS. In all the excitement I left my umbrella on the bus. I smiled as I walked 2 blocks in the pouring rain to my office and arrived sopping wet. ← Have you ever looked at yourself through the eyes of a homeless person? I loved reading this first thing this morning. It’s heartwarming to know that community can happen anywhere, even in places that are no “places” as such, given that their purpose is to keep you in transit. 🙂 I hope Ricky enjoyed his last day at work on that route. What a wonderful story. There is a greeter in my local drugstore that lights me up on my most down days. You are right Sally it is great to have people in your life like Ricky. Without going into details, let me just say….luck you!